AJL International Chauffeured Limousine and Transportation has been providing worldwide transportation services since 1995. AJL specializes in chauffeured transportation services for business & association meetings, conventions, incentive meetings, corporate travel and special events, it has an experienced staff and keeps the relationships friendly with the competitors. Matthew Johnston’s company has a fascinating history and has become one of the most respected in the industry. It’s very hard to talk about AJL International without talking about its Owner and President – Matthew Johnston. When Matthew Johnston finished high school in 1992, he had two things going for him to begin his career: his knowledge of the limousine industry and his father’s connections. Neal, Matthew’s father, had owned and operated many limousine companies in the Dallas-Fort Worth area since 1967, finishing his run in the industry as the Carey of Dallas franchise from 1980-1988. His primary areas of expertise were funerals, corporate and retail business, and transportation for rock stars. 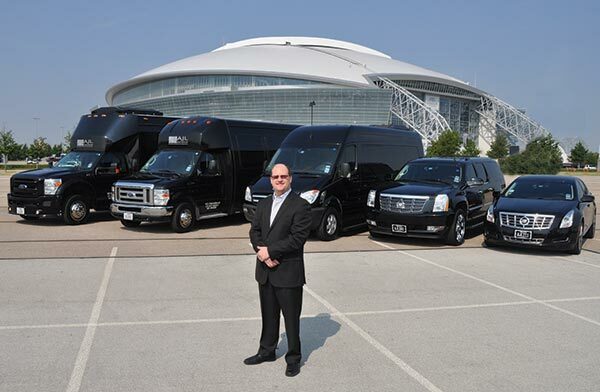 After only one year of working at a local funeral home, Matthew Johnston launched Johnston Limousines – that was rebranded later as AJL International Worldwide Chauffeured Transportation after merging with Accent Limousine in 1999. With his father’s connections, it was easy for Johnston to prove himself to the right people and soon he started to handle the local transportation for some of the hottest musical talents, but also their on-the-road transportation needs. For about seven years, Johnston was on the road more than he was in the office, but AJL managed to grow steadily. Actually, being always on the road, helped Matthew Johnston understand how the transportation industry really works around the world. Today, AJL International Worldwide Chauffeured Transportation covers over 450 cities worldwide. The year 2007 marks Johnston’s last official tour. Since then, he has dedicated his entire activity to the company, forcing himself to learn to like financials and scour reports. While managing transportation for rock stars was seasonal, representing only 30 percent of the business, Johnston filled in the downtime by going after the corporate market, the majority of sales – 70 percent – being driven by affiliate work. In 2012, Johnston relocated the company in the grounds of Dallas/Fort Worth International Airport. The airport is located between the major cities of Fort Worth and Dallas and is accessible to all the significant dealerships the company uses to service the fleet. This area encompasses 12 counties and almost 7 million people. It is also known as Metroplex and it was listed by Forbes as one of the fastest growing metropolises in the United States. Johnston was, is and will always be committed to his team, the people who help him fulfill his vision. He is a people person, and this has always been one of his strengths. Matthew knows that he expects a lot from his team and he maintains an open-door policy with his employees. More than that, he keeps his staff, especially the chauffeurs, as motivated as possible. Johnston’s mother, Suzanne, is a part of the AJL International team, working in the customer service and reservations department while his father, Neal, is AJL’s fleet manager. And talking about it, AJL’s fleet used to be limousines and vans, but sedans have taken over most of the 45-vehicle fleet. The company runs Cadillac XTSs which customers love, Audi and Mercedes-Benz sedans, Cadillac Escalades, GMC Yukons minibuses, Sprinters and more. Today, AJL International provides first class chauffeured transportation services for business and association meetings, conventions, incentive meetings, special events, corporate travels, weddings, anniversaries, proms and many more with an unparalleled level of service. We, at AJL International, call Fort Worth/Dallas home, but through strategic partnerships, we can provide seamless service around the world. Regardless of your transportation needs, we will exceed your highest expectations.